Whether or not you’ve ever been to church before, FUMCFW offers a variety of worship styles with engaging services that are easy to follow, with meaningful teachings to provide thoughtful relevance for your day-to-day life. At First Church you can expect to be greeted warmly, welcomed fully, and made to feel right at home from your first visit on. Join us any Sunday to enjoy a friendly greeting, help in finding your way to a wide assortment of Sunday morning options, and an open invitation to find your place in our dynamic and welcoming faith community. An inspiring service of worship in the traditional style, with sermon, hymns, liturgy, and monthly Communion. Worship music includes various choirs, orchestra, and instrumental ensembles for special music to enhance and deepen your experience of worship. The beauty of our Sanctuary and the stunning music of our 160-rank pipe organ make this service especially moving. Dr. Tim Bruster, Senior Pastor, is the primary preacher for this service whose whole design respects the traditions of the church while creatively addressing the issues and needs of contemporary society. An inspiring service of worship in the traditional style with special enhancements designed to engage people of all ages. 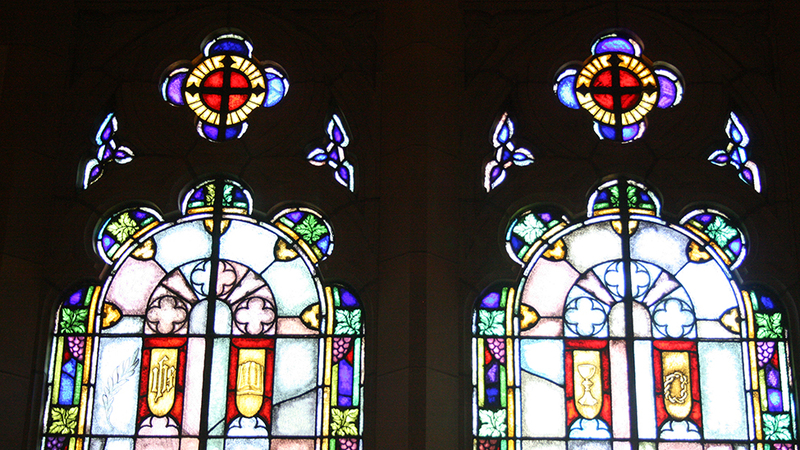 This service features the traditional elements of worship, including sermon, hymns, liturgy, and monthly Communion. Worship music includes various choirs, orchestra, and instrumental ensembles for special music. This service takes place within the beauty of our Sanctuary and utilizes the stunning music of our 160-rank pipe organ. Children (Kindergarten and up) are provided with special bulletins and backpacks filled with thoughtfully designed materials and activities to actively engage them in each Sunday’s scripture, sermon, and theme. Added features such as the “Faith Like a Child” time (children’s sermon) and sidebar commentary to our younger worshippers are included to further enhance meaning for all ages. Older children participate as acolytes, assist with the opening procession, baptisms, and Communion. Teens are engaged in sermon and theme “critique” and participate as worship leaders and Communion servers. Nursery is available for children under 5. 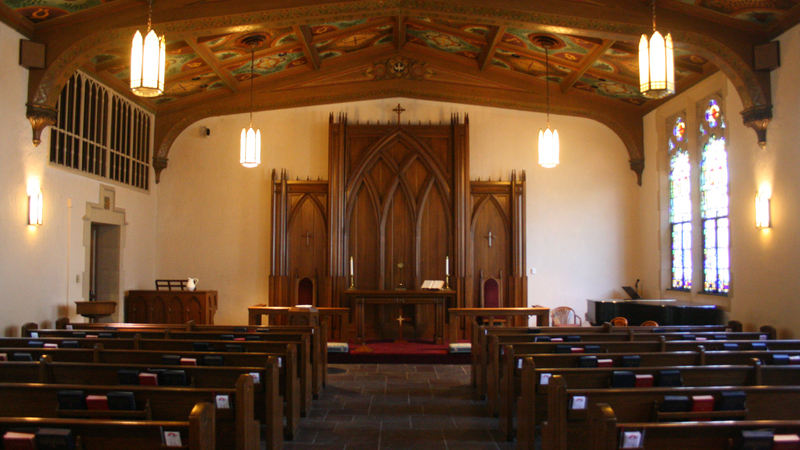 DiscipleChurch is a unique worship service centered on the sacrament of Holy Communion and a passion for social justice. 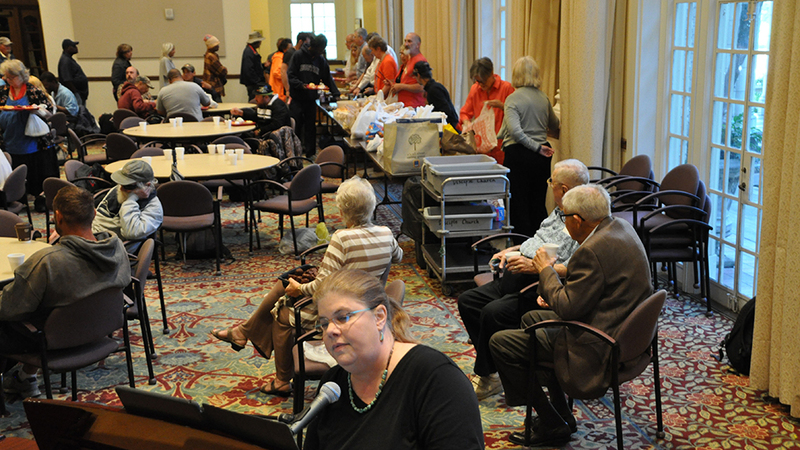 The community first gathers around a shared meal provided by church members for any who come hungry, followed by a worship service. This First Church Sunday morning offering led by Rev. Lance Marshall is a casual and relevant opportunity for worship, learning, and prayer. 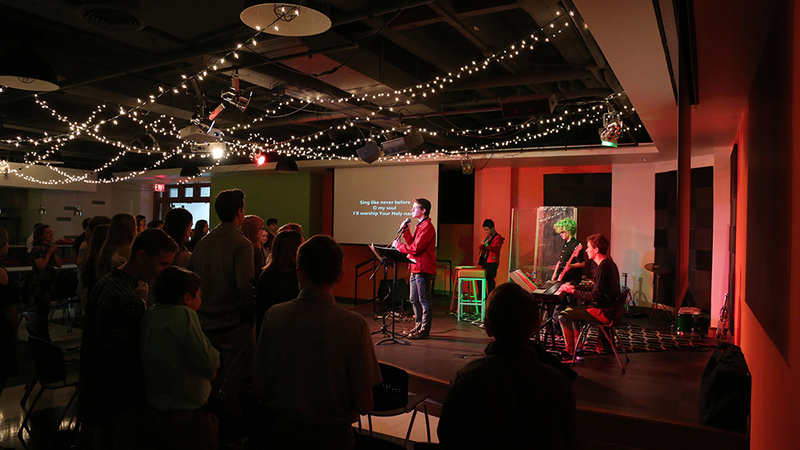 The service emphasizes delicious coffee, community, and in-depth teachings that explore the foundations of faith while rooting the message in the challenges of daily life. 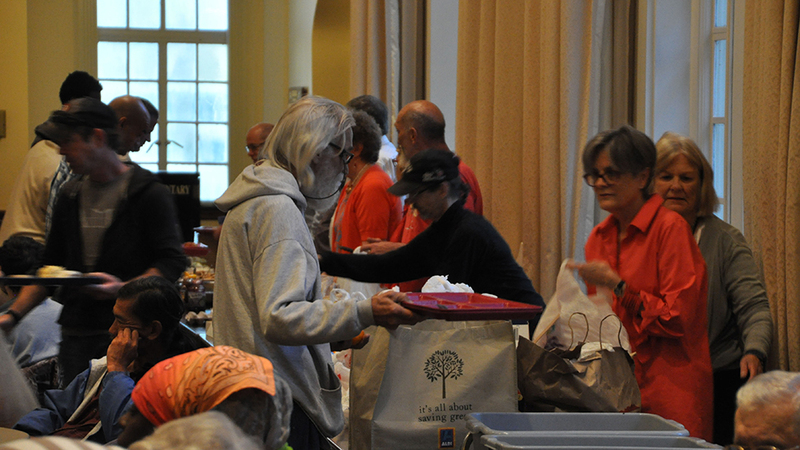 The Gathering presents a unique opportunity to connect socially, intellectually, and spiritually in a new and different way within the First Church faith community. Each Sunday during the 11:00 am Sanctuary service children are invited to the front of the Sanctuary where they explore and experience God’s love with Mister Mark. We encourage all families with children to attend this service together to teach their children about worship and allow them to experience it alongside them with the help of special Children’s Worship Kits. Way more than mere coloring sheets designed to keep kids occupied while the grown-ups “have church,” each Worship Kit is packed with everything from nature boxes to prayer cords to pipe cleaners — all with ideas for how these objects can help engage children in worship. The cornerstone of these Worship Kits is the eight-page, full-color bulletin, designed to help children truly connect with all that is happening in worship.